Two Los Angeles radio stations that I enjoy listening to debuted new team shows this week. 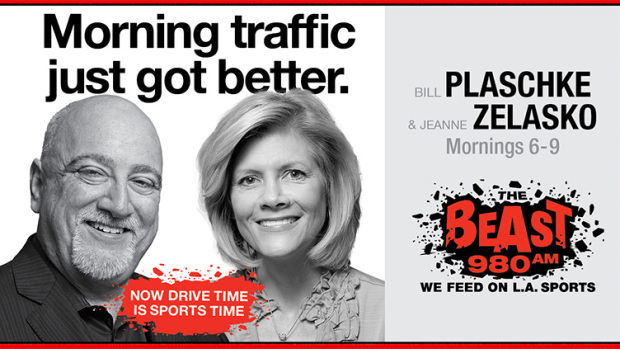 The Beast 980 introduced Plaschke and Zelasko, and news talk KFI AM 640 unveiled Gary and Shannon. Whenever I hear new team shows, I always remind myself not to make snap judgments. You don’t give birth to an adult. It takes at least a year for a new show to hit its stride. If you start a new team show, know that it isn’t going to be what you want right out of the chute. However, you can speed up the maturation process by spending time with your co-host off the air. The friendship you develop off-air will carry over on-air. Be patient. Remember, good things come to those who wait.